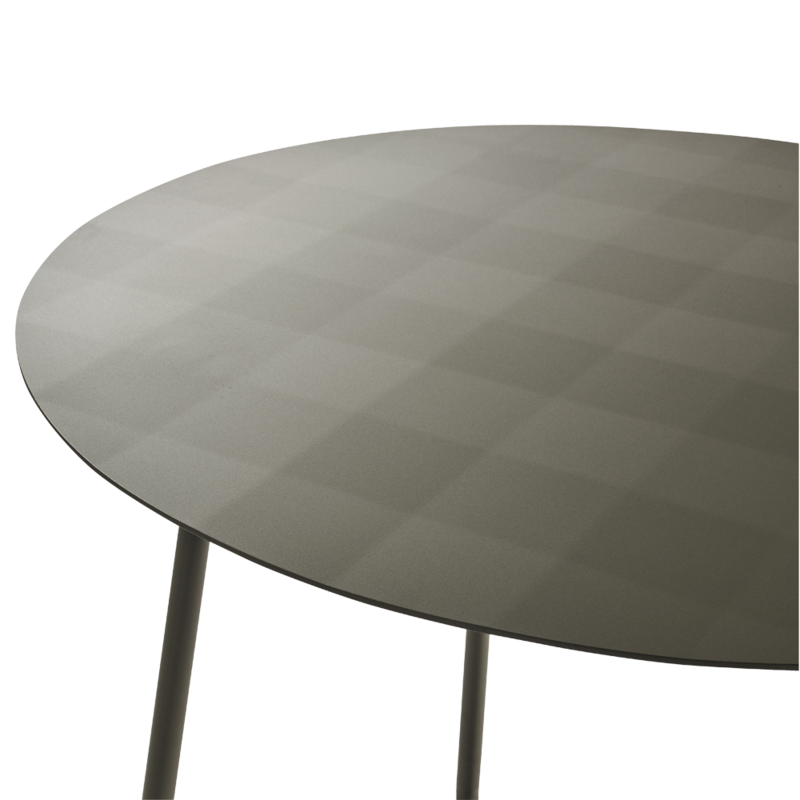 The Sillages dining table is composed of two materials. 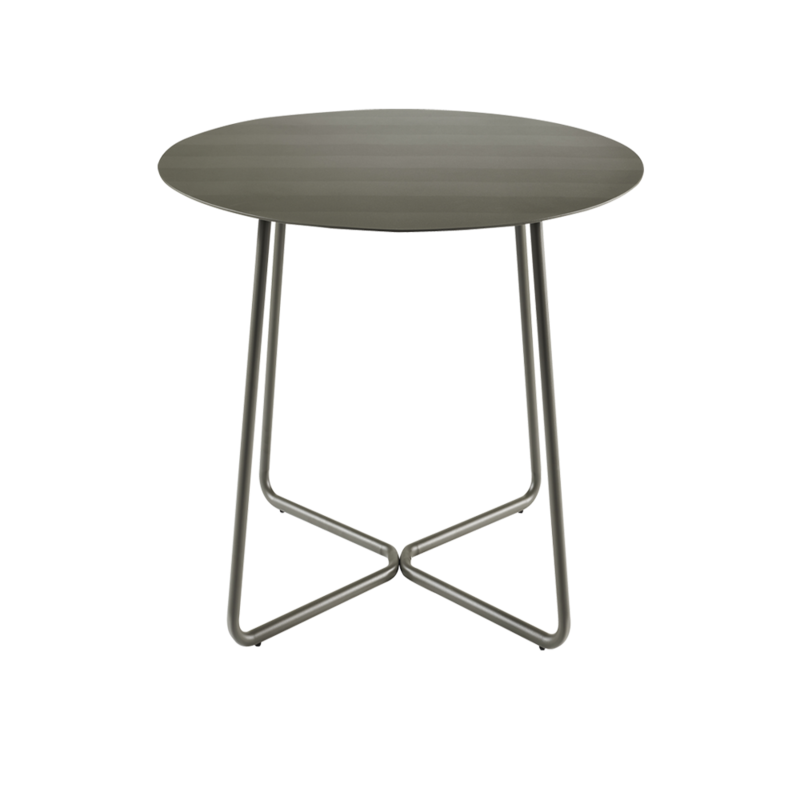 Its legs are made of fine textured epoxy lacquered steel and are adjustable. 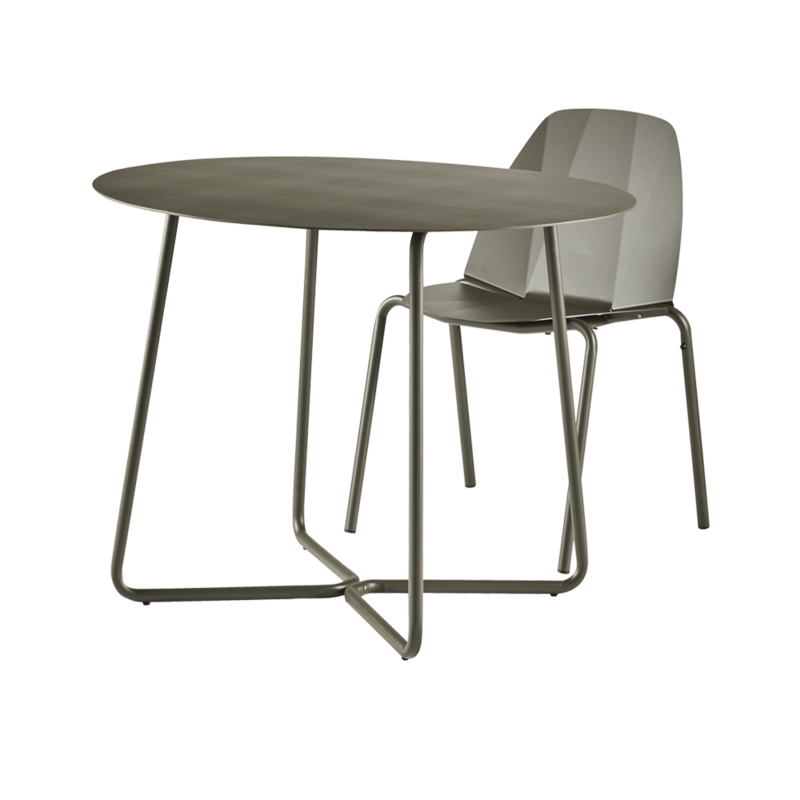 Its top is made of fine textured epoxy lacquered aluminium and has an additional folding detail. 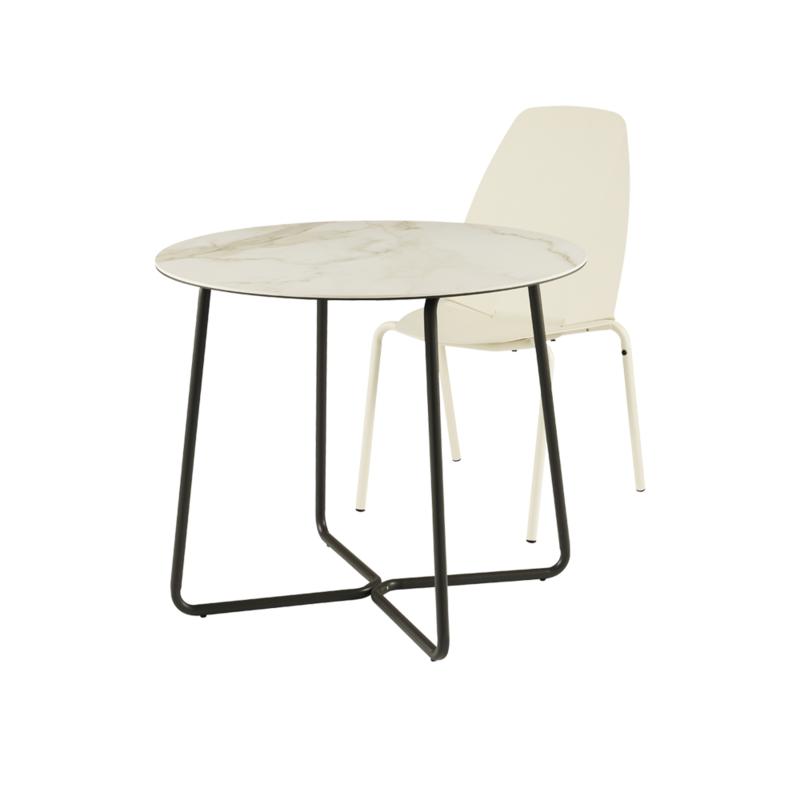 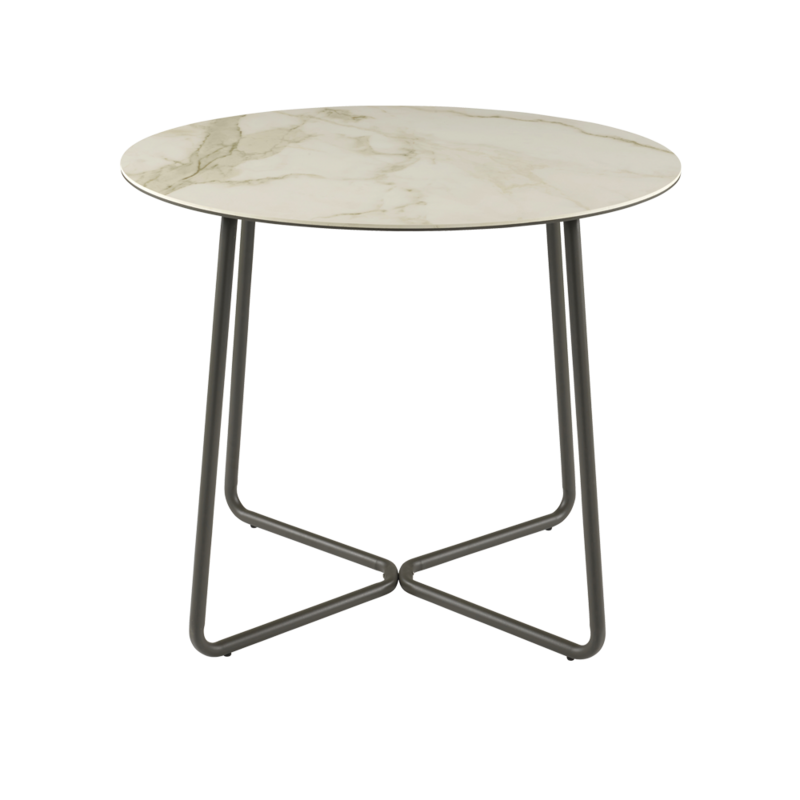 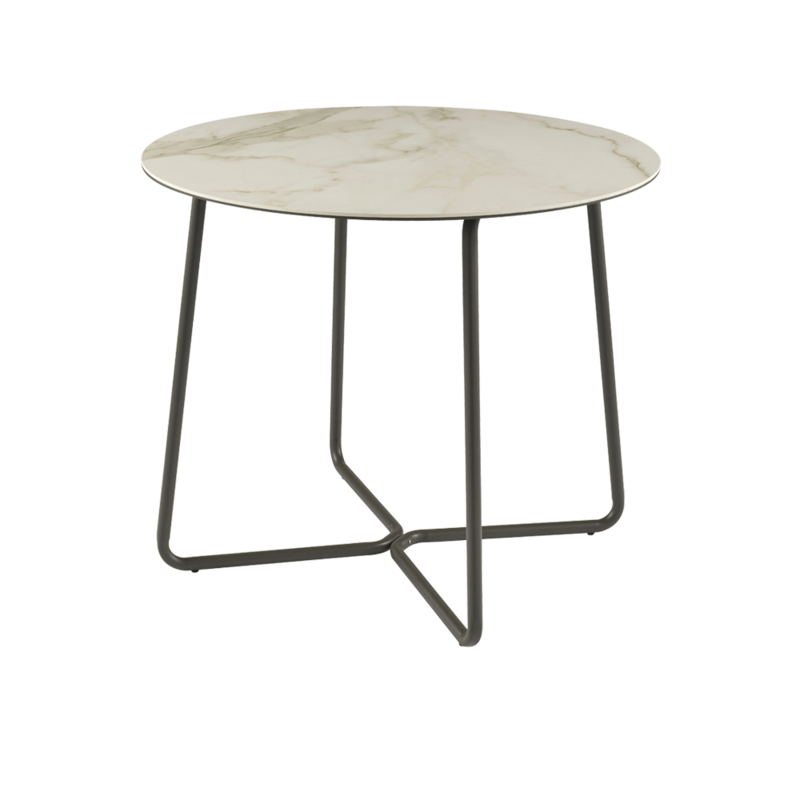 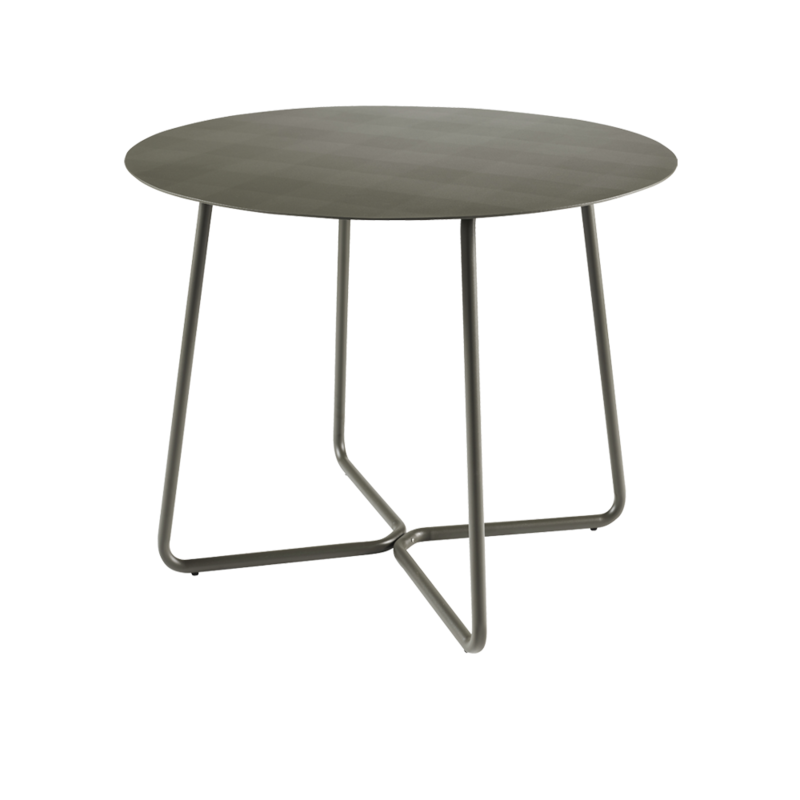 The table can be customized with a top made of sheet metal or marble effect ceramic. 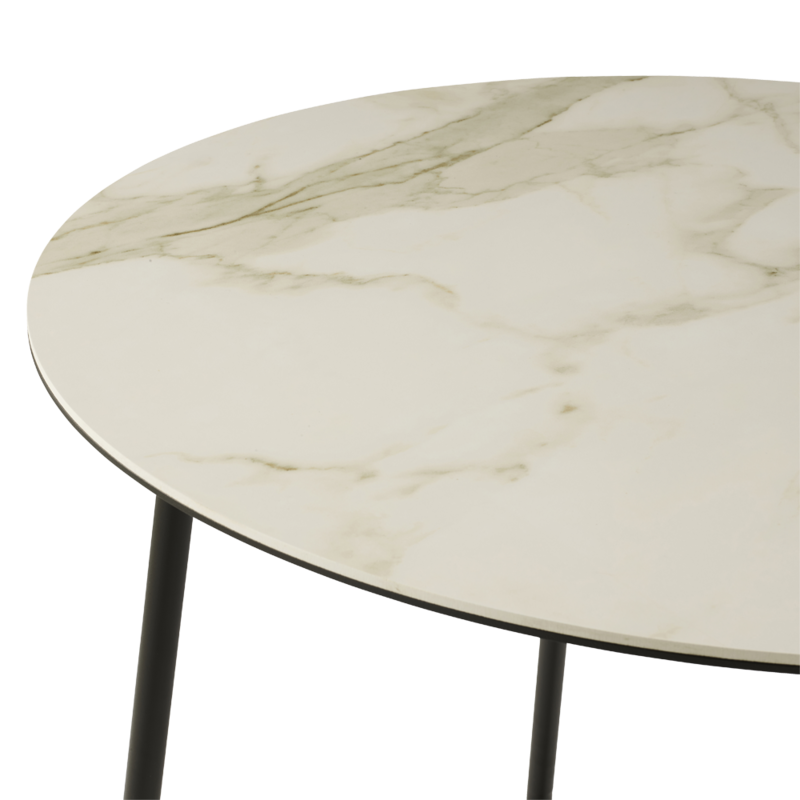 It is available in the full palette of Reica colours.